When you hear the name ‘Lexar’, what goes across your mind? Do you think of the range of flash memory products as well as storage devices that carry that brand, or do you see more of the peripheral? 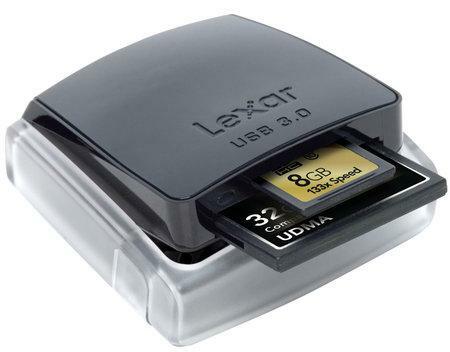 Today, we will look at the Lexar Professional USB 3.0 Dual-Slot Reader which you can tell by its name, is a useful gizmo to tote around if you want to transfer plenty of data from one memory card to your computer in a jiffy. This high performance card reader is able to take just about any task you throw at it, never mind if you are a professional or advanced amateur photographer (videographers are also included) as you take advantage of it to maximize your workflow with blazing-fast transfer speeds. The reason behind the speedy data transmission is due to SuperSpeed USB (USB 3.0) technology within, where said device will support the latest CompactFlash (CF) UDMA, Secure Digital Extended Capacity (SDXC), and SD Ultra High Speed-I (UHS-I) memory cards. Apart from being forward looking, this memory card reader will also not forget its roots, which means it is backwards compatible with various standards like normal CF, SD, and Secure Digital High Capacity (SDHC) memory cards in addition to USB 2.0 host devices. Operating at 500MB per second in USB 3.0 guise, you will most probably wonder how you managed to live with USB 2.0 connectivity all these years as the latter operates at “just” 60MB per second – which leads us to ponder even more back in the days of USB 1.1. What makes the USB 3.0 Dual-Slot Reader all the more special would be its innovative, pop-up mechanism which allows you to close the reader whenever it isn’t up for action. This will help protect its innards from dirt and debris, while ensuring there aren’t any caps or parts to lose sight of especially when you’re already under pressure at work. The Lexar Professional USB 3.0 Dual-Slot Reader will be accompanied by free, dedicated customer support and a five-year limited warranty. Any takers? You can start saving up $50 for this puppy as it arrives later this June.